This is the series of mad game. 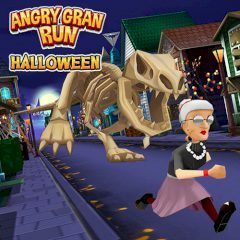 Here you have to guide the crazy granny, who is run over the streets. Do not forget to collect treasure skulls and you will be able to unlock the new character! Have much fun!